Our newest world's skinniest travel passport case and wallet in one from Big Skinny is the smart way to explore the planet. 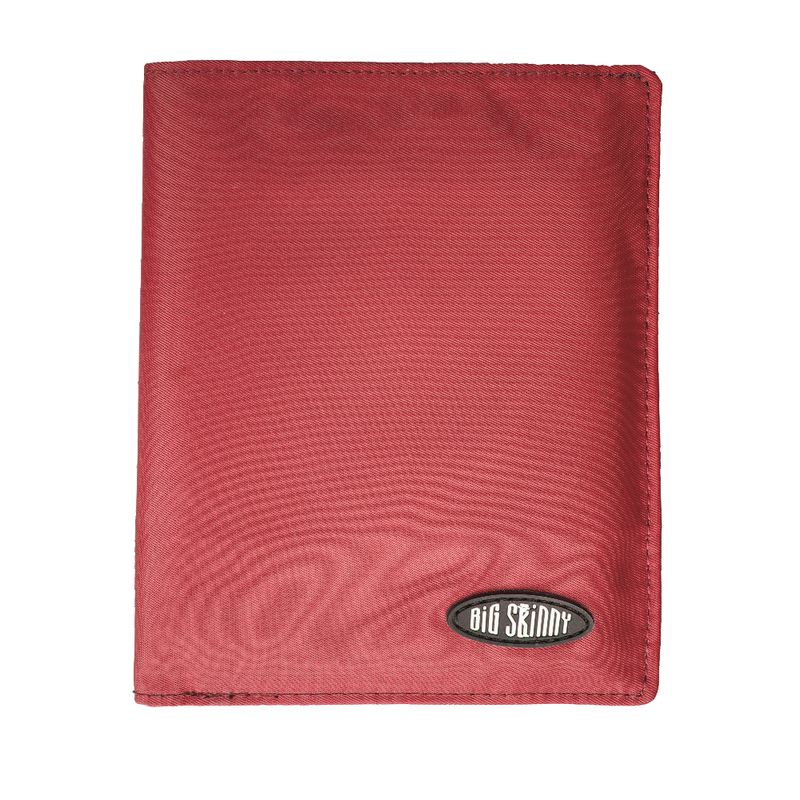 It's super thin and extra roomy to hold all your travel documents, cash and plastic cards. Plus, there's extra space for the photographs and oversized foreign currency you'll collect along the way. 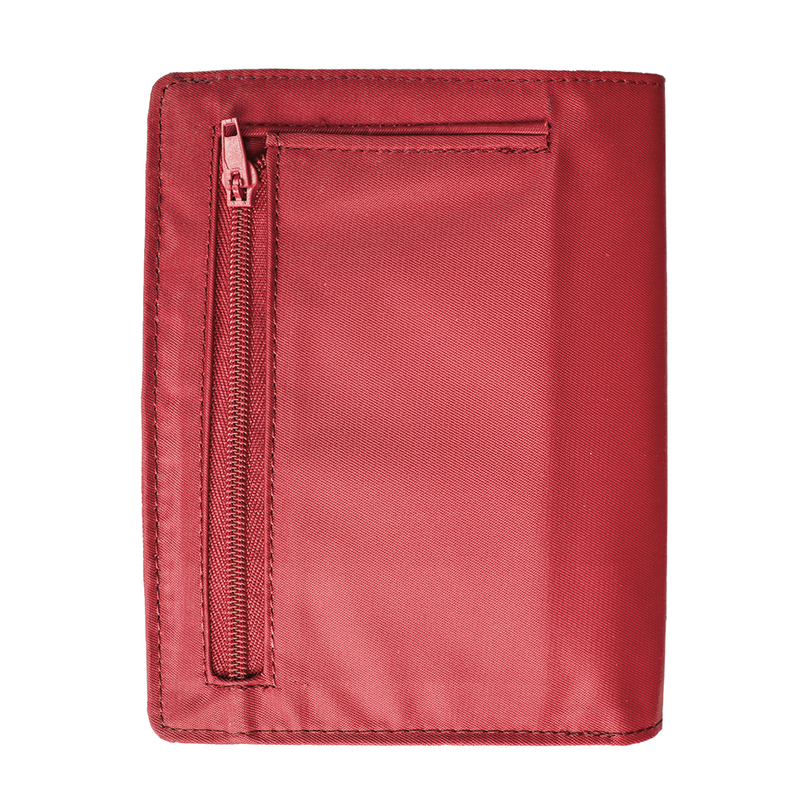 Our new traveler wallet will hold as many as four passports in case you're traveling as an international spy with multiple identities - or carrying passports for friends or family. This passport case/wallet can take it. 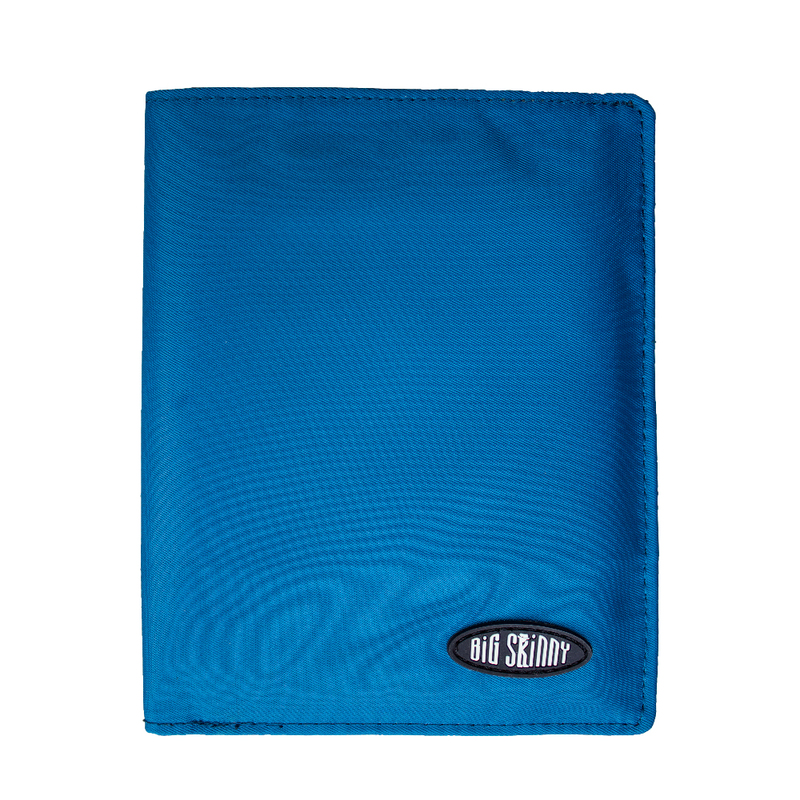 It's made of tough, machine washable nylon microfiber that ensures yours will be the skinniest passport case in any airport. When closed, it's just one-eighth of an inch thick, and it weighs less than an ounce. Don't let the 4 1/2 inch by 5 1/2 inch size fool you. There's plenty of room inside for your international travel essentials. 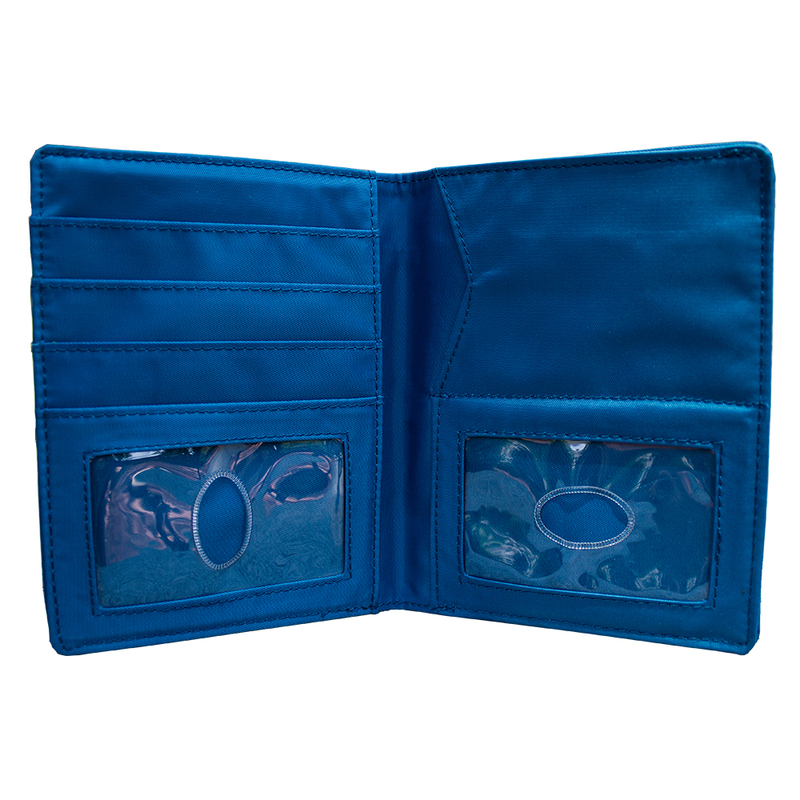 Inside this passport wallet is one passport storage department and two wide, deep compartments for paper money or more passports. 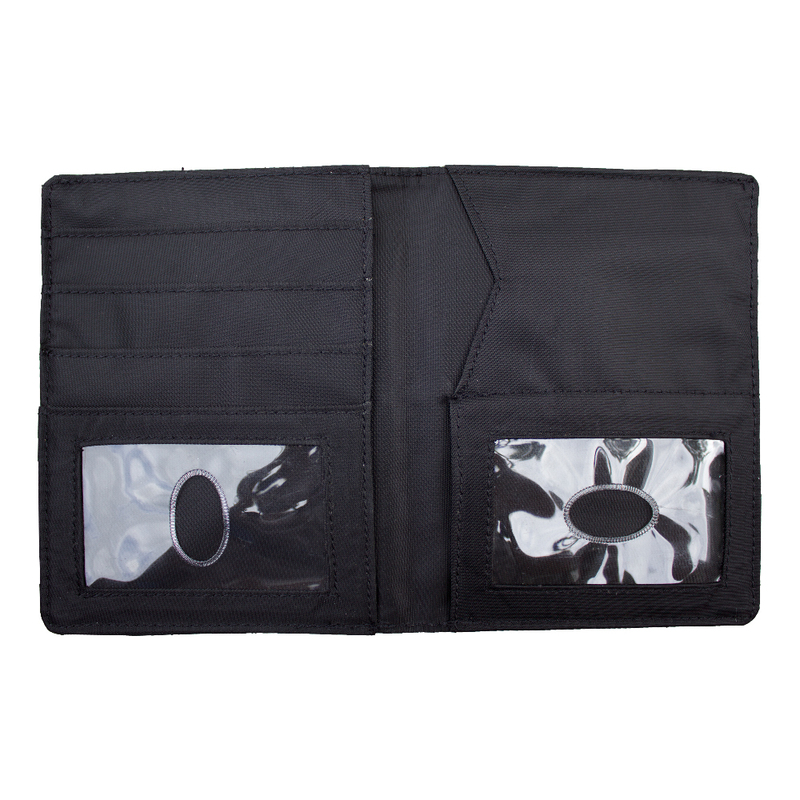 An exterior zippered change pocket is perfect to have foreign coins ready for tips or street market trinkets. 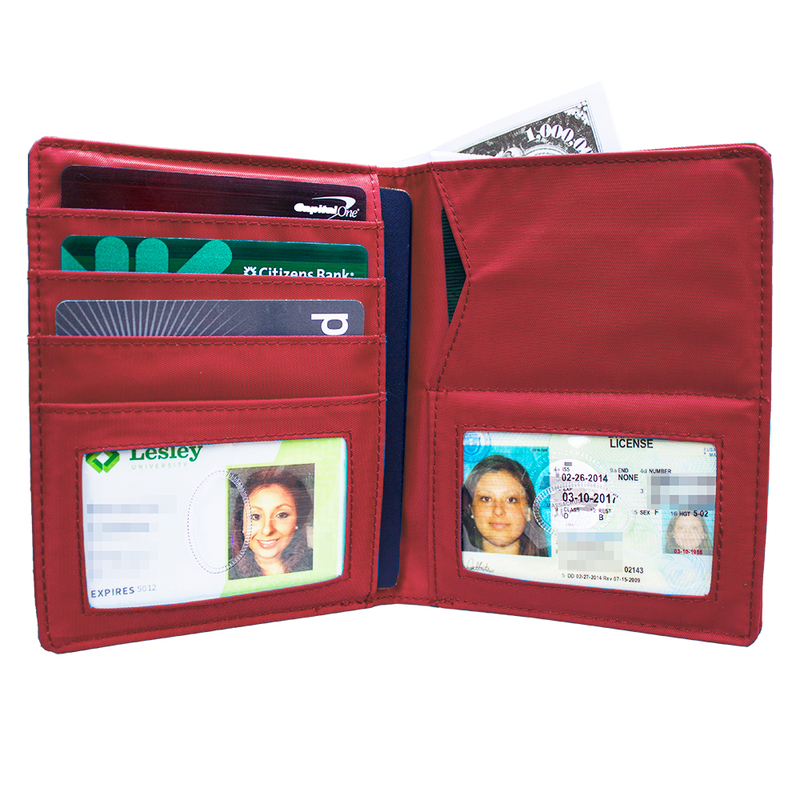 Four extra-wide pockets inside will each hold three to four plastic credit cards or IDs. Plus, there are two clear ID pockets with thumbhole holds, so you can easily retrieve your cards. 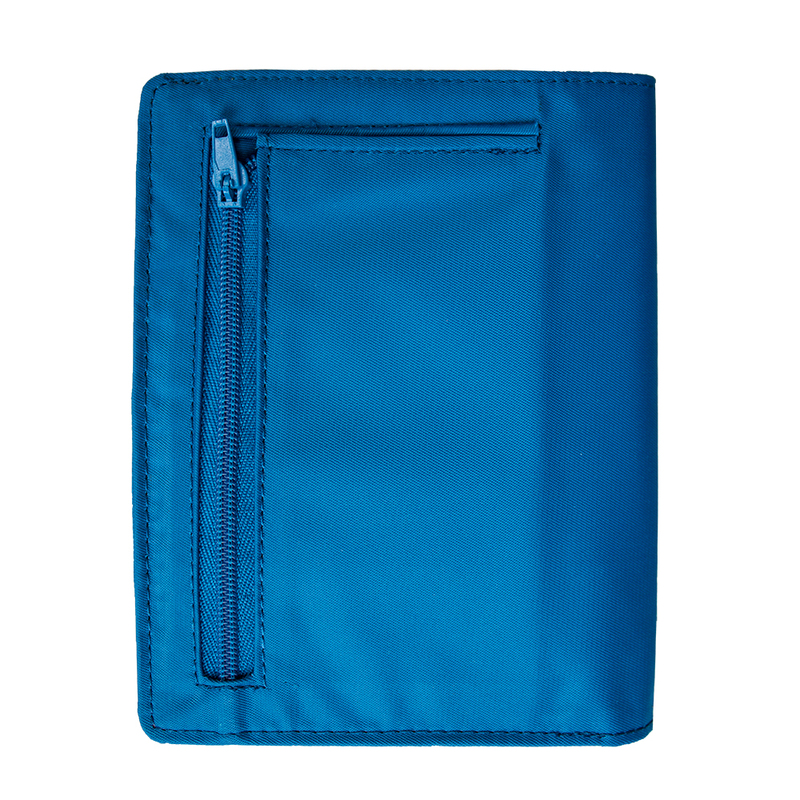 All our wallet pockets are extra wide to prevent you from having to fumble around trying to yank a card from too-small pockets found in old-fashioned wallets. 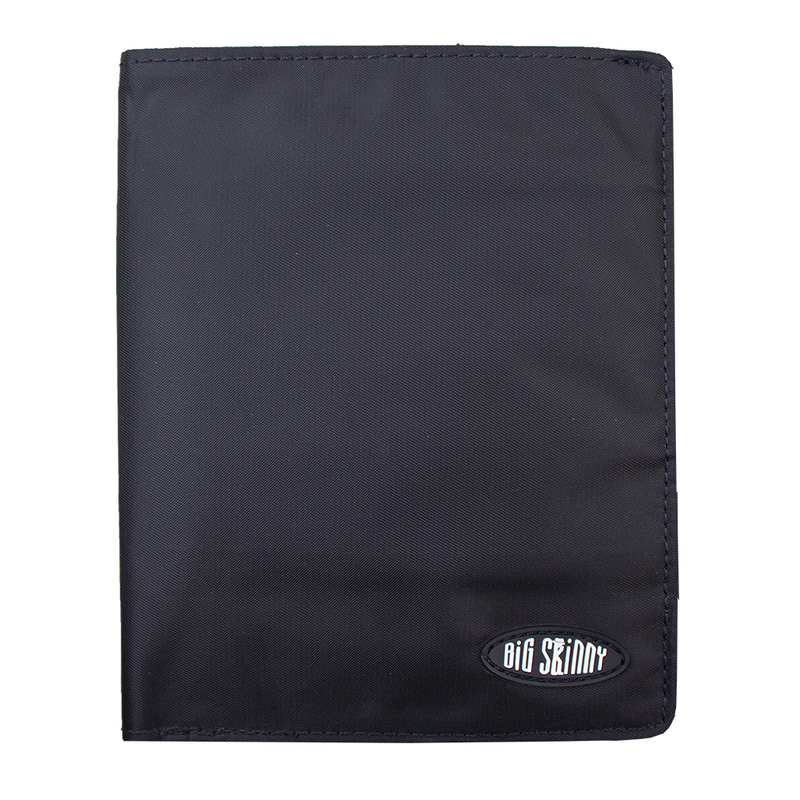 Plus, all our billfold pockets are lined with a non-slip coating to better secure your cards and cash. What would Bond carry? This wallet, we're certain. After coming from a conventional wallet I am back to a Big Skinny. My first BS wore out after 10 years and I expect the same from my new one All my cards fit in Place for my License and Medicare cards And it is still not a rump lump. I bought this wallet for my son who was off to explore the world. He loves it. ProsA place for everything. Save and sound. Great flat wallet. Works good in a crossbody purse. The best customer service. I will shop here again. 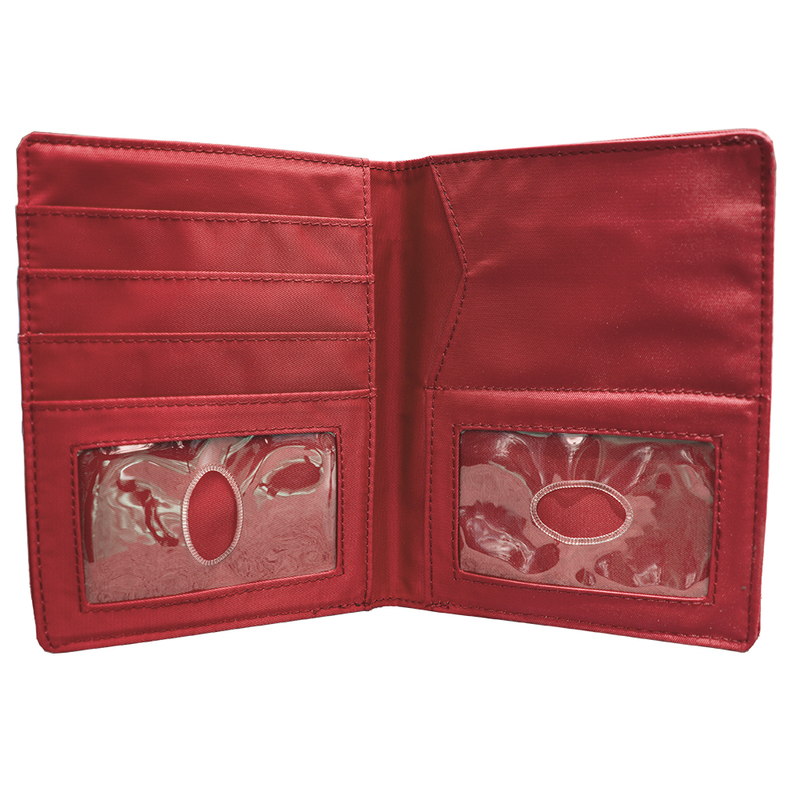 Prosthe size, coin purse, place for paper money. I exchanged an item for this item and have not yet received it. Merchant Response:Hi Louise, Thank you for reaching out! Rest assured you will receive your exchange. A member of our customer satisfaction team will be reaching out to you momentarily to confirm your details. Thank you again! I bought the Traveler Wallet because I wanted a way to carry around all four passports for all four members of my family. (My kids are still underage and so don't carry their own passports.) 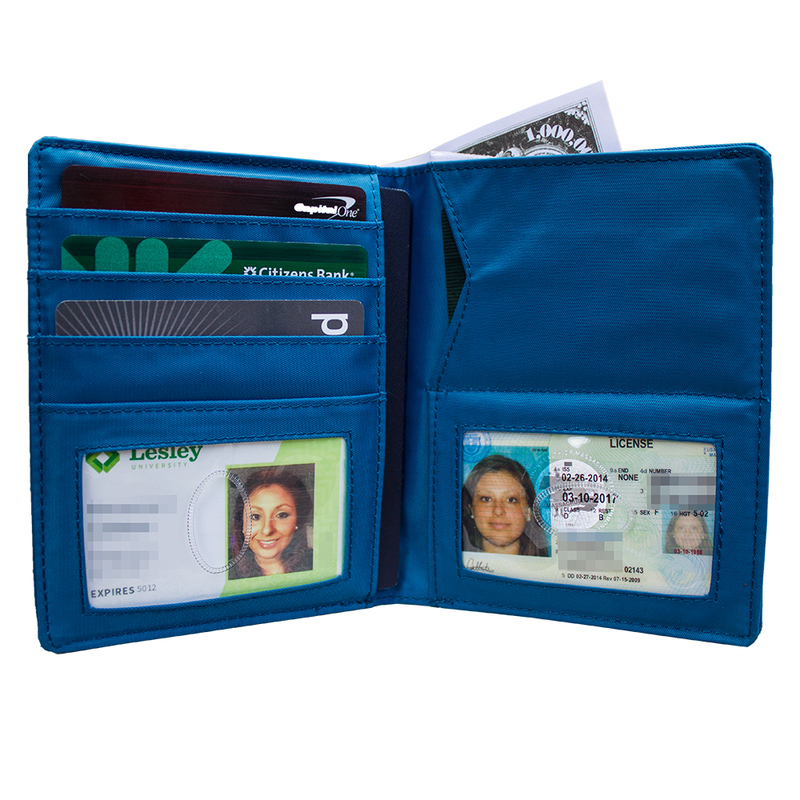 This wallet is great for that; two passports fit into the passport pocket and two others fit into the main large pocket of the wallet. Even with four passports, the wallet stays thin enough to fit in my jacket pocket. all the cards and cash I need. Really pleased with it. BigSkinny customer service is excellent. 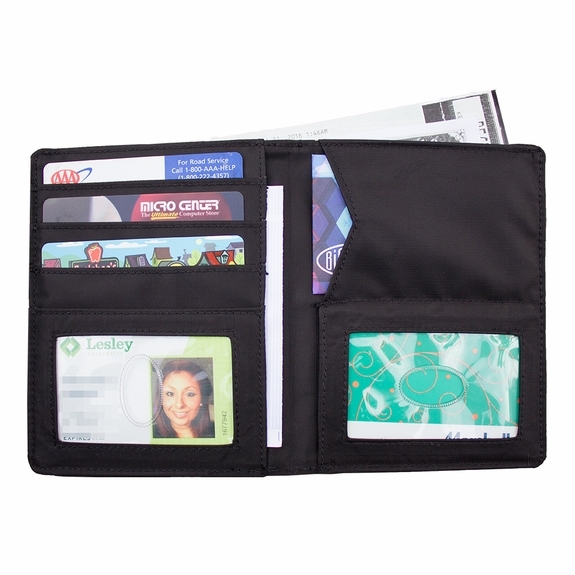 This wallet is ideal for holding my pocket-sized Day-timer, as well as credit cards and paper money. Significantly thinner than the wallets sold by the Day-timers company itself. The only down-side is that there is no ring to hold a pen. The price was reasonable too! I used to carry my passport, my wallet, and various receipts and slips and bits of paper in my pocket when I was traveling, all jumbled together and making everything hard to find. I wanted a wallet that would keep things more organized, and this fits the bill. ProsHolds my passport, currency, and a bunch of cards. I bought a Traveler Wallet for myself from a Christmas Show in Nashville. Love it so much I bought four more for traveler friends/family. 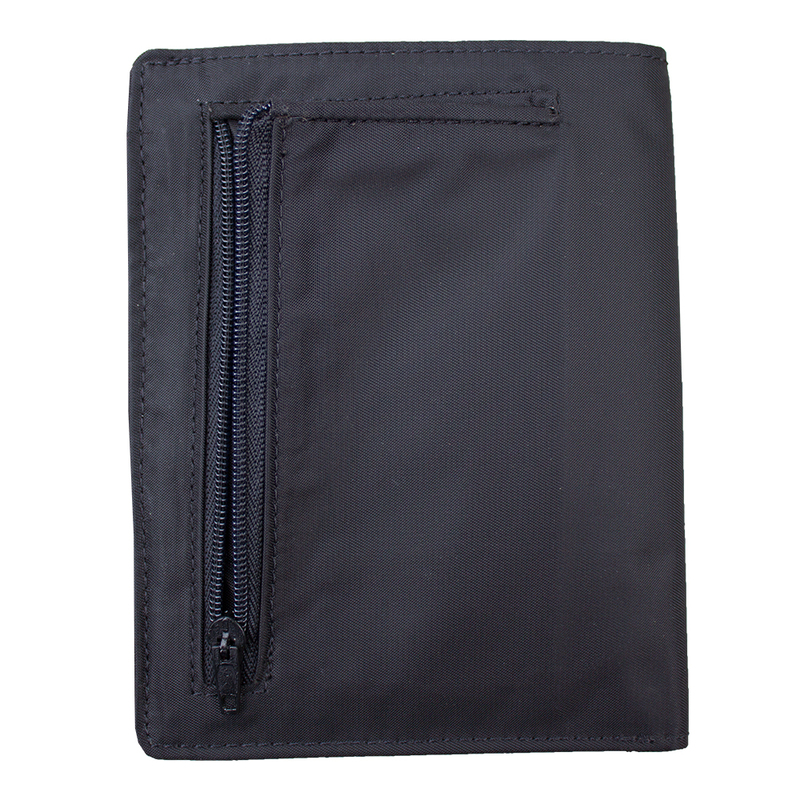 So nice to be able to carry Passport, credit cards, medical info, cell phone and money in one compact RFID travel wallet. Mine came with a shoulder strap and would like to get straps for the four I bought as gifts. ConsAdditional colors would be nice. Also, would like shoulder straps included.